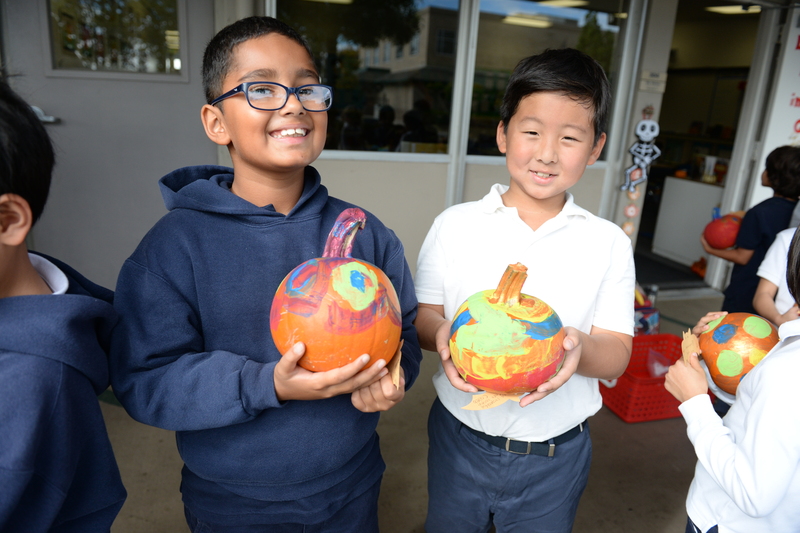 Grade 2 students recently had a great time painting and hand delivering some 100 colorful pumpkins to residents living near the lower school campus. They created the festive pumpkins on Oct. 23, then delivered them to the school’s immediate neighbors the following week. The annual outreach and community service project is an expression of gratitude to the residents for being such good neighbors. The painting took place in the lower school’s art room. The delivery entailed walking around the school’s neighborhood, leaving pumpkins and handwritten cards on porches or into the hands of the appreciative residents if they were home.